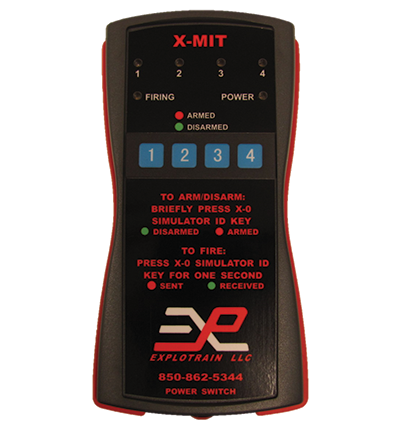 X-MIT Transmitter - Explotrain, LLC. 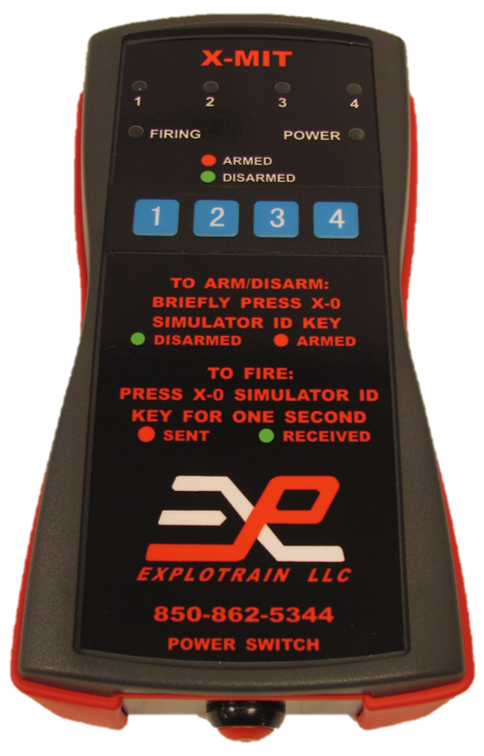 The Explotrain® Model X-MIT Multiple Input Transmitter provides a rugged housing and a simple interface for controlling one or two Explotrain Simulators at distances up to 1/4 mile. 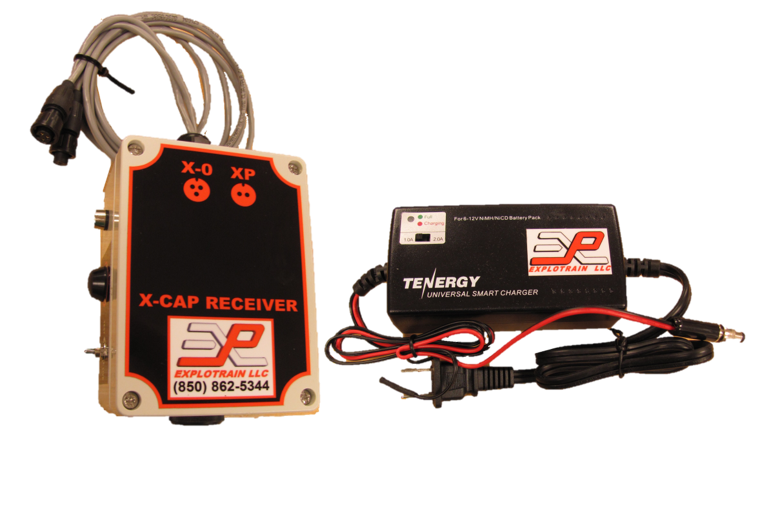 Simple push-button operation and color coded LEDs provide continuous feedback of each Simulator’s actions and status. 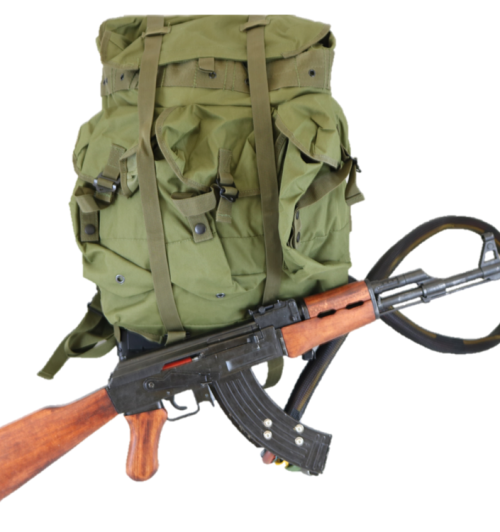 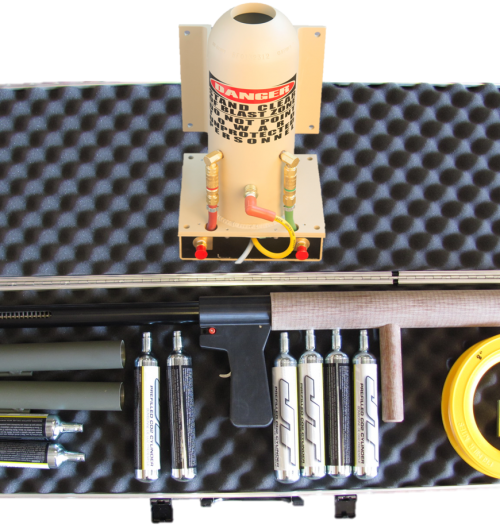 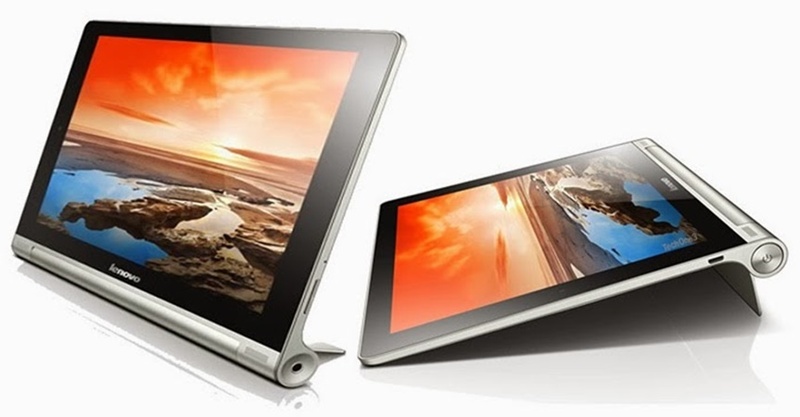 The X-MIT can also be connected to triggering devices or other sensors and circuitry to wirelessly send Fire and Arming signals, making it ideally suited for scenarios with victim operated devices.